Globalism is moving the entire world toward a system that regards human beings as livestock. Globalism has eaten away at the core principles that this country was founded on. Today more and more ordinary people are starting to feel the effects. Now we must ask how these trends can be reversed. How can we rid the Unites States of globalism? Globalism is championed by the leaders of both political parties; the left uses environmentalism in pursuit of the globalistWildlands Project and a substituted system of law called “social justice”. The right uses “public private partnerships” to reshape our economic system while advancing Smart Growth municipal planning . Between the globalist policies of the left and the right America teeters on the brink of destruction. Globalism is moving the entire world toward a system that regards human beings as livestock. This has been the unspoken center piece of American politics for many decades. Globalism has eaten away at the core principles that this country was founded on, especially the principles of the Declaration of Independence. (1) The direct Constitutional limitations on the federal ownership of land would be followed. Article 1Section 8 severely limits the federal government’s power over land. Federal lands including national parks, and federal forest land should be deeded to states. Some states would establish homestead distributions; others would carry on park activities. Any federal securitization of land or resources for international debt obligations would be negated. (2) The US would withdraw from world governance organizations including the United Nations, the World Bank, the World Trade Organization, and regional trade organizations like NAFTA and CAFTA. American control over American trade policy would be restored. Manufacturing would return to within our shores. (3) Federal income tax and local property tax would be eliminated. The federal tax revenue would be based on Constitutional indirect taxation including import and excise taxes. (Article I Section 8 and Section 9) Government would be massively shrunk. (4) A severe limitation would be placed on the presently exercised federal executive power to make any order. Further Executive Orders would be limited to the administration of executive duties. Executive Orders would no longer substitute for Congressional action. (5) Information would be made available to the public, including the schools, regarding the fact that America was formed as a Republic where individual rights reign and where democratic action (mob rule) is limited. (7) An honest and Constitutional system of money would be established. (Article 1 section 8.) This necessarily requires the elimination of the Federal Reserve and a new Constitutional system of money. (8) American foreign policy would not seek global imperialism. Military actions would be required to receive Congressional approval via Declarations of War. (9) The twentieth century saw a massive increase in the size and scope of the federal executive branch. These bureaucratic expansions have not improved America society. Accordingly, many federal departments and agencies need to be eliminated including: the Department of Education, The Department of Commerce, the Environmental Protection Agency, the Department of Labor and the Department of Interior. There is no need to reinvent the wheel. The Constitution was designed to protect freedom-loving people and rein in the powers of government. Do you have the spirit and the drive to help restore the American promise? If so, together we need to reinvigorate the principles that were designed to protect America from threats like modern globalism. Michael Shaw is a leading critic of Sustainable Development, also known as the U.N.’s “Agenda 21”, which is the Action Plan implementing world government for the 21st Century. 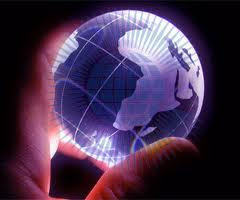 Shaw delivers a powerful presentation, The Ultimate War: Globalism vs. America. In this exposé he illustrates the local infiltration of globalist policy in the community in which he is speaking. Shaw leads Freedom Advocates.org which is dedicated to providing news and information on what America stands for and how Agenda 21 is designed to transform America and the human experience.